Sheraton’s Egyptian Cotton products are produced using fabric specially woven by master weavers using the finest handpicked Egyptian Cotton. 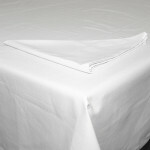 Our Egyptian Cotton fabric has a thread count of 400 – making it luxuriously smooth and soft. Our Egyptian Cotton products are available in more than four stylish colours. Warm up this winter with our wide selection of Sheraton duvet inners. With 4 types to choose from – we’re sure there is one that is perfect for you. Our duvet inners range from synthetic to natural fillers, all rated on the Tog rating system. 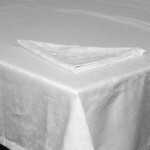 We supply quality linen directly to the public through our online store by offering a fast and reliable door-to-door delivery service throughout South Africa. Safe & Secure payment options. Free delivery for orders over R800. Sheraton Textiles is a 99-year-old manufacturer of quality household linen and accessories. Sheraton Textiles supplies majority of the major upper-end retailers in South Africa, as well as the major hotel & hospitality groups. We also cater for small independent businesses, boutique hotels and guesthouses. Read more about Sheraton Textiles, or feel free to Contact Us.